The PowerScan™ M8500 series readers can be used with either a BC-80X0 cradle or Stargate™ radio base station to build a Cordless Reading System for the collection, decoding and transmission of bar coded data. The M8500 series can be used in the same environment where M8300 series readers are already installed. 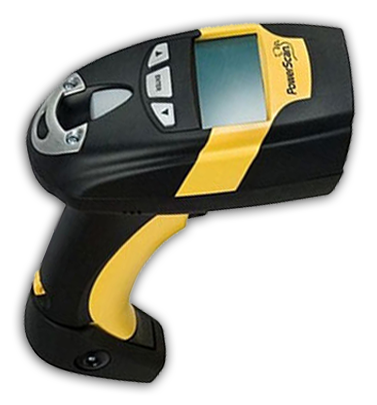 The PowerScan™ PM8500 Hand-Held Reader packs a lot of performance into an attractive, rugged, hand-held device. It operates in commercial and industrial environments, as well as the front office.